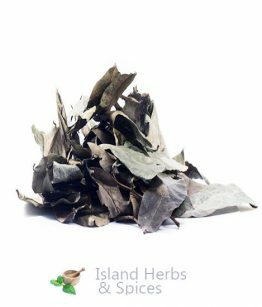 Over the years the leaf and bark of Sour Sop tree is well known to Jamaican as a remedy to cure nerves problem, if you have any type of hand shaking just drink some Sour Sop leaf tea of boil the bark from the tree for a stronger dose. Now research has found that the Sour Sop tree has Cancer curing ingredients as well. 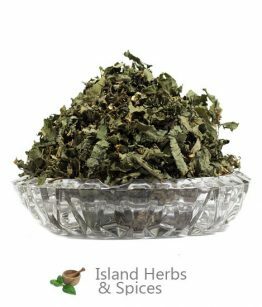 We dried and ship the bark and the leaf from the Sour Sop tree from Jamaica after placing your order please allow four days to harvest and dried your Sour Sop leaf and bark. Soursop is a very popular fruit, not only in Jamaica, but also throughout areas with warm, tropical climate. The soursop is a long green fruit with a prickly exterior and a soft, creamy pulp inside. The creamy interior of the soursop also consists of tens of small black seeds. Since the soursop can only thrive in tropical climate, the fruit is only grown in South America, Central America and the Caribbean; with South Florida being the exception.The Soursop tree, formally known as Annona Muricata, is also valuable due to its health benefits. The soursop tree is relatively small and the roots are rather shallow, allowing it to grow in a shallow soil base. 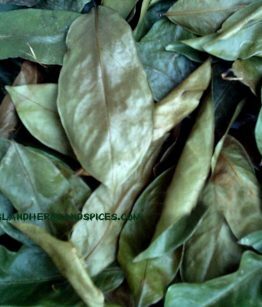 The leaves of the soursop tree are highly sought after by Jamaican herbal doctors as they are believed to aid in the treatment in a host of illnesses. 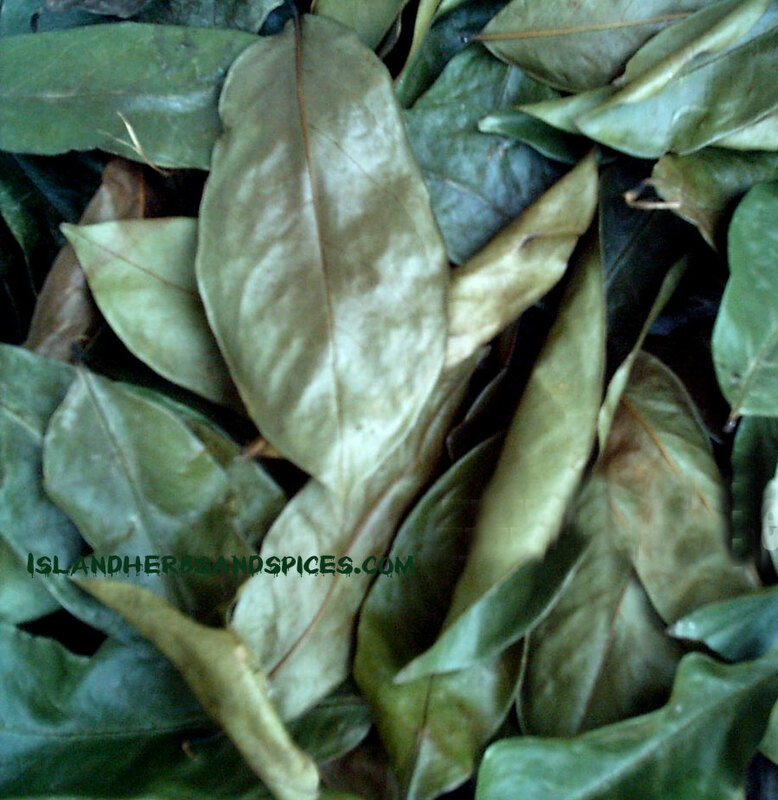 How to use the Soursop Tree Leaves? The leaves of the soursop tree are popularly used here in Jamaica to make a Jamaican style bush tea. 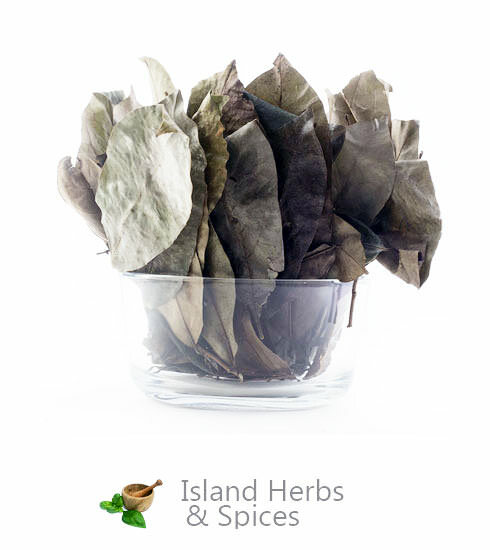 The leaves of the sousop tree are picked and washed properly before being crushed. 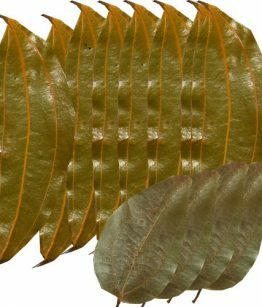 The leaves are then allowed to boil for a few minutes after which the tea is sweetened with honey or sugar. The sousop tree leaf tea is said to aid in the treatment of a number of illnesses and that the leaves have a host of health benefits.